A special product from the LITHOFIN-Range for marble, natural and engineered stone (MN). 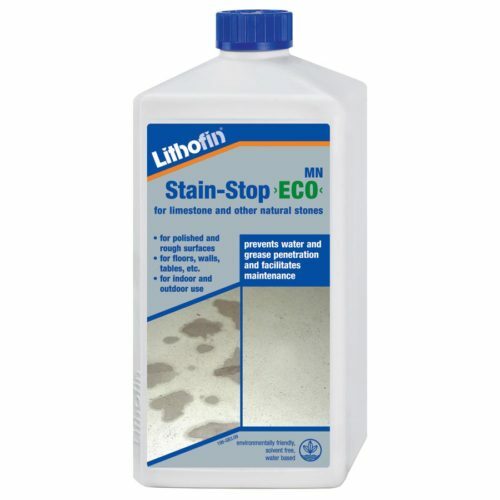 Lithofin MN Easy-Care is a high-yielding cleaning and maintenance concentrate, which contains active maintenance components and mildly alkaline cleaning agents based on natural soaps. Highly effective agents take up the dirt and so it can easily be removed by wiping. The remaining extremely thin care film is free of wax and does not build any layers. With continued use, the surface’s appearance will improve in colour and structure. Lithofin MN Easy-Care leaves a pleasant odour. 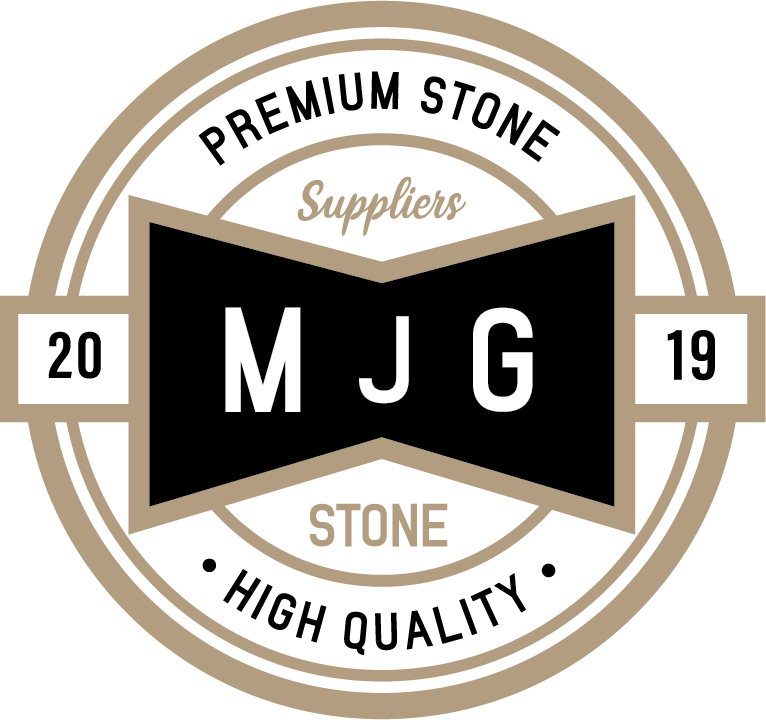 Surfaces: all natural stones such as carrara, travertine, jura marble, porphyr, serizzo, sandstone as well as engineered stone. The surfaces can be polished, honed or rough, impregnated sealed or untreated. 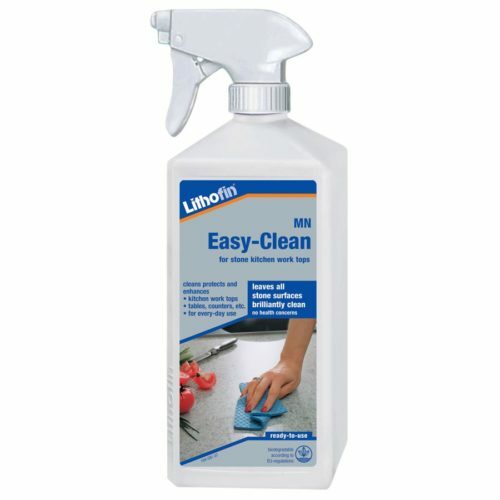 Lithofin MN Easy-Care is always added to lukewarm water. One squirt (approx. 20ml) per 10 litres of water. In case of absorbent, dirty surfaces use a bit more. After wiping, allow the residues to dry on the surface, do not rinse with clear water. Use either a floor mop, cloth or cleaning machine for wiping. which are machine cleaned daily approx. 3 litres per 100m² will be needed per month. 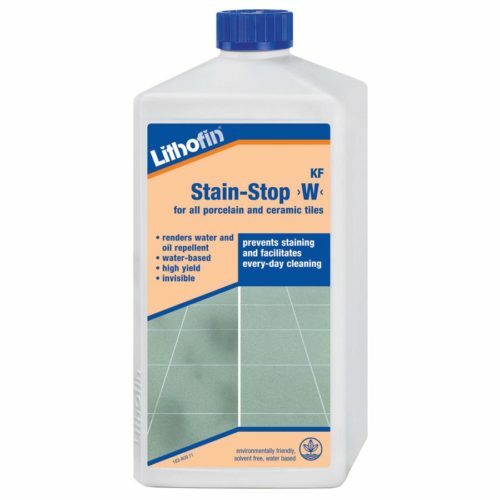 Advice: in areas subject to heavy wear and tear and on very dirty surfaces, it may be necessary to occasionally use Lithofin MN Power-Clean. Natural stone floors should be wiped regularly. 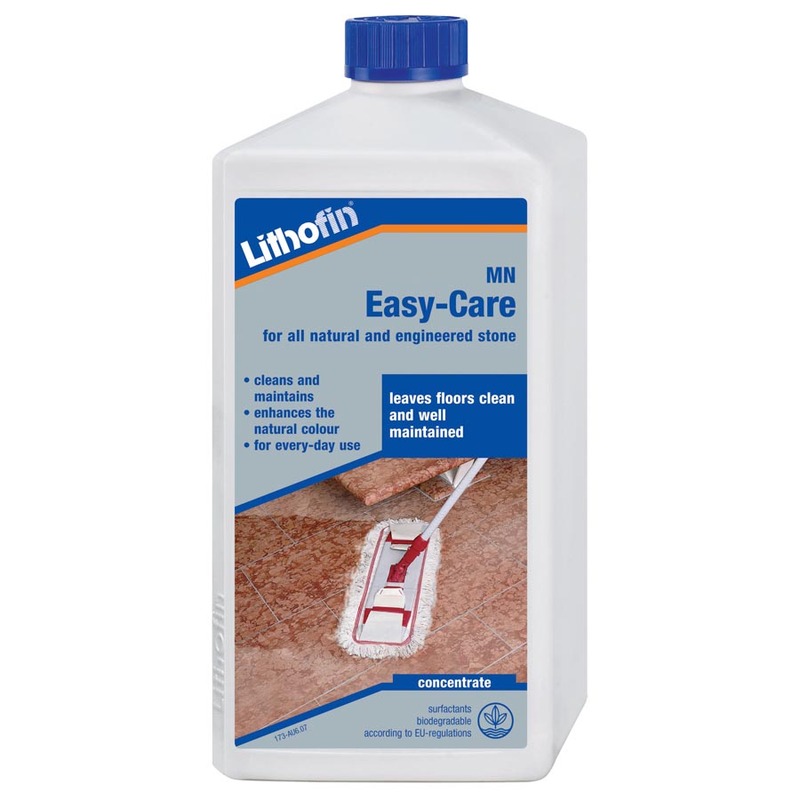 Especially on polished marble, we recommend using Lithofin MN Easy-Care three to four times, then using Lithofin MN Care-Sheen once. Keep closed and cool. Not above 25°C. No health concerns once dry. Ingredients: 5-15 % anionic surfactants, < 5% nonionic surfactants, < 5% natural soaps, scent (limonene, geraniol), auxilliary agents. Symbol GHS 07 Warning Contains benzenesulfonic acid. Concentrated product causes serious eye damage.